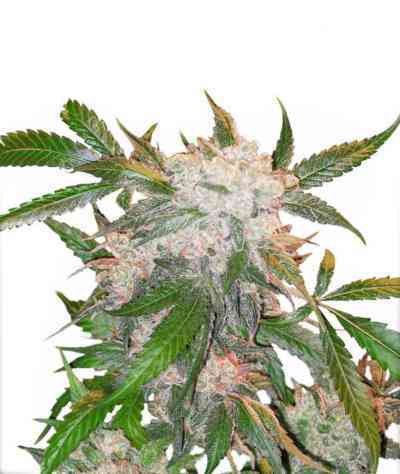 Tangerine Dream is an Indica dominant strain offering tangy sweet Tangerine aromas and flavours, as well as effects that are at once cerebral and relaxing. Tangerine Dream’s 65 day flowering time is remarkably short and the one metre high plants with their strong and numerous side branches yield an impressive 600 grams per square metre. The plant needs support in its final weeks. Colas grow large and heavy, beautifully coated with red and orange trichomes.